It’s a new year’s resolution (or goal if you prefer) that many of us make every year — to get more organized! While most businesses slow down come January, this is the “season” for professional organizers. 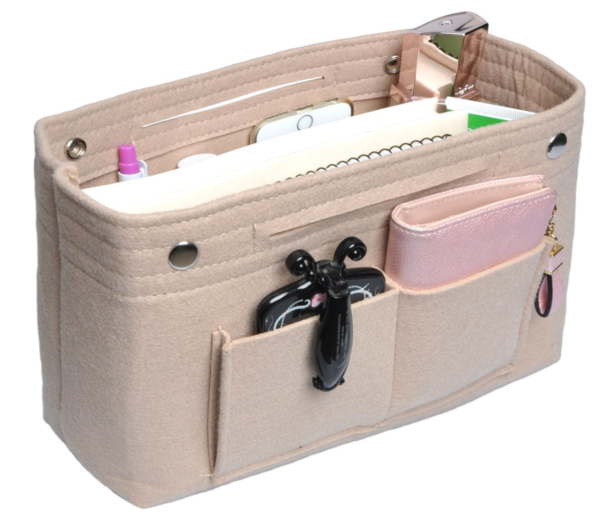 Getting your life organized can be overwhelming, so we say start small — start with your handbag. 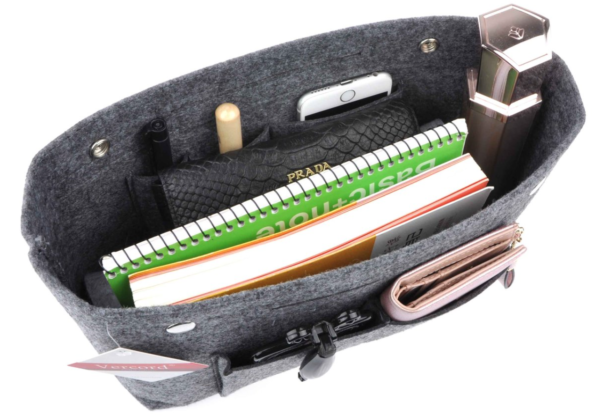 We found this cool handbag organizer by Vercord that comes in four sizes — small, medium, large and extra large. The insert has also been made specifically to fit in a number of different popular brands and styles, from Michael Kors to Chanel. 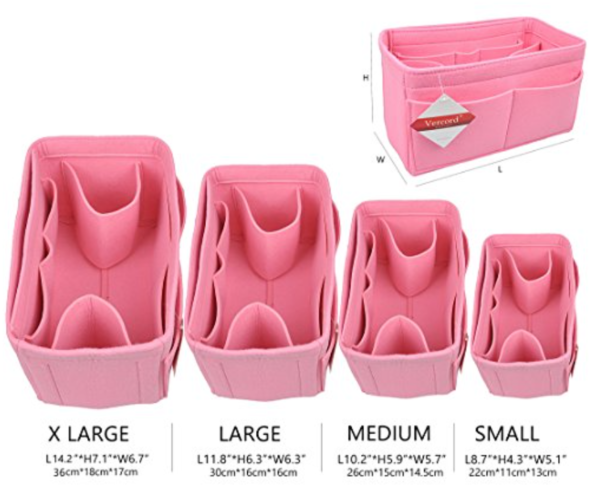 You can search the website by the size of organizer that will fit your bag, the style of bag you have (tote, satchel, etc. ), by the specific brand or by size. Custom orders are also available. 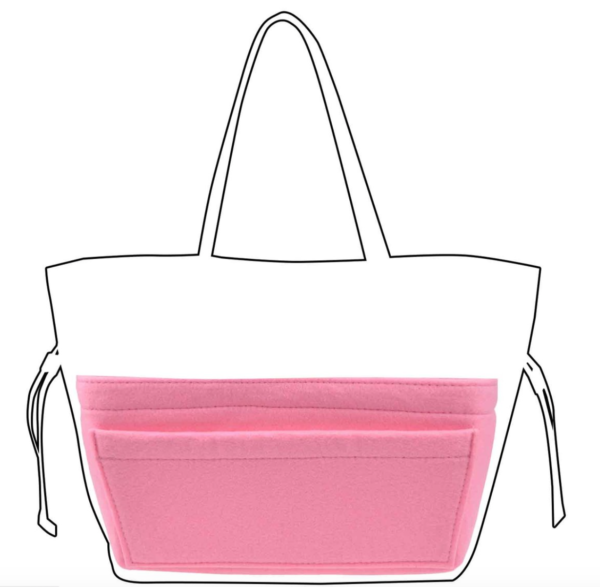 Not only is this brilliant for your everyday handbag, but your work tote or diaper bag too! There are several styles available on Amazon as well if you want to take advantage of your Prime service. P.S. Another awesome organizational tool we love… Jewelinx! Invented by a busy mom, this pretty jewelry hangar helps you speed up getting dressed in the morning. Check out our earlier post. Love! Here’s to a more organized and efficient 2018!